just finished framing some paintings for the group show I’m in in October 2007, called Beyond Ultraman : Seven artists explore the vinyl frontier …Gary Baseman, Tim Biskup, David Gonzales, David Horvath, Brian McCarty … at the Pasadena Museum of California Art in conjunction with LaTda – Los Angeles Toy, Doll and Amusemnets Museum. 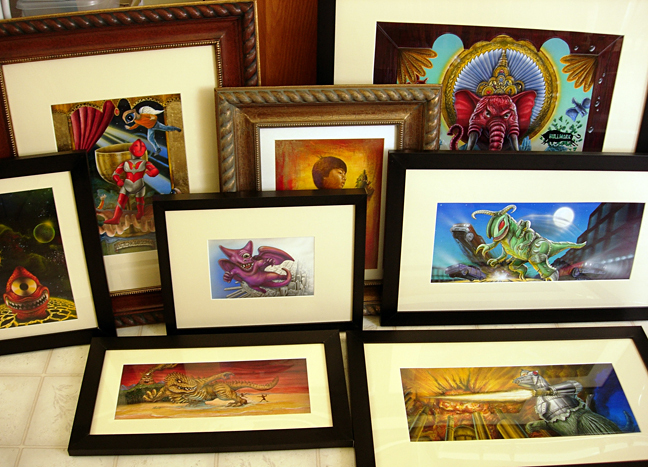 I’ll have over 20+ original paintings and drawings plus Max Toy figures as part of this show. Opening night is Oct 11th, 7-9 pm … $5.00 admission…plus there is a catalog book that will be available for sale as well. I think this will be an exciting show and look forward to seeing the artists works !